Image courtesy Bezalel Academy of Arts and Design, all rights reserved. Established in 1906 by artist Boris Schatz as the “Bezalel School of Arts and Crafts”, Bezalel has evolved into one of the world’s most prestigious art schools. This November, the outcomes of the projects of the students of the Bezalel Acadamy of Arts and Design will be presented in the new Tumblr curation realized by the Academy in collaboration with Europeana Fashion partner The Israel Museum. The name Bezalel is synonymous with more than 100 years of Israeli art, innovation and academic excellence. Bezalel’s unique strength stems from the numerous breakthroughs it has been responsible for and its ability to respond and adapt to cultural changes. It takes pride in its numerous generations of graduates – the spearhead of Israeli artists, designers and architects, in Israel and around the globe. The epicenter of Israel’s cultural discourse and at the forefront of its artistic scene, instrumental in shaping the country’s cultural identity, Bezalel has over 2000 students studying towards undergraduate degrees in different departments: Fine Arts, Screen Based Arts, Architecture, Ceramics and Glass Design, Industrial Design, Jewelry and Fashion Design, Photography and Visual Communication. In addition, Bezalel offers graduate degrees in the fields of Fine Arts, Urban Design, Industrial Design and Policy and Theory of the Arts. 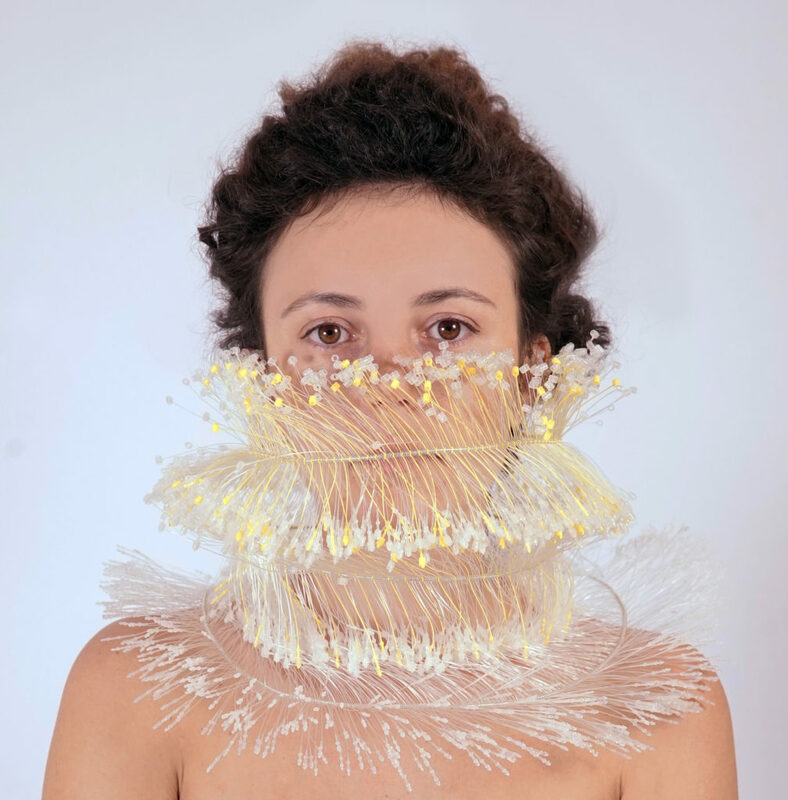 Our Tumblr will showcase the work of the students of the Jewelry and Fashion Department, selected by an overseas ‘jury of peers’ organized by The Israel Mueseum. In a serie of pictures that delineate the research of the students over fashion and body, the objects presented – from clothes to accessories like shoes, bags and jewels – well highlight the students attentive eye towards innovation. Visit the Tumblr to discover more.